Addressing a meeting of the Düssseldorf Chapter of the Party over the week-end Dr Anane-Gyinde explained that considering the precarious state of Ghana’s economy when the NPP assumed the reins of power in 2016, the policies and programmes that have been initiated and implemented in the last ten months are phenomenal and have exceeded the expectation of nearly all fair-minded Ghanaians. Dr Anane-Gyinde stated that the NPP came to power at a time when the country was wheeling under massive corruption, an economy that was on the verge of collapse, a broken health system, an expensive educational system that has denied large numbers of Ghanaian Children access to education and a nation that has lost faith in politics and politicians. The National Organiser noted that during the 2016 electioneering campaign, most of the issues the NPP raised were dismissed as mere campaign promises but just after ten months in government , Free SHS is now a reality, nurses and teacher trainee allowances have not just been restored but have in fact been paid, the dysfunctional National Health Insurance Scheme has been revived and nearly all arears have been cleared while the economy has been stabilised through prudent economic management and good governance. 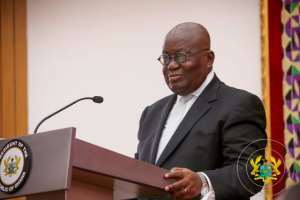 He admitted that despite these unprecedented achievements and successes within this short time frame, much still needs to be done and a such the government of President Akuffo-Addo will not be complacent but would work even harder to justify the trust and confidence reposed in the party and government by the people of Ghana. Dr Anane-Gyinde argued that the good works, policies and programmes of government need to be effectively communicated to the populace to avoid distortions, misrepresentation and misinformation by an opposition that is desperate for power and has no respect for decency or ethical conduct when it comes to vile propaganda. He announced that NPP-Germany will hold a Training Workshop for its Communicators in January 2018 to equip members of the Communication Team with the requisite communication skills to enable them explain government policies, defend government position and counteract the outright lies and fabrications that have become the hall mark of the very desperate and disorganised opposition NDC. Dr Anane-Gyinde urged all local chapters to send at least two representatives to the workshop and asked all chapter chairpersons to submit the names of participants to the Director of Communications or the National Organiser before 20 December 2017. Earlier in his remarks, the Chairman of the Düsseldorf Chapter, Mr Charles Obiri Yeboah disclosed that the Chapter has embarked on an intensive membership drive campaign by organising regular programme that also aim at sustaining the interest of current members. According to him, experience has shown that when the Party is in power, members tend to relax and become rather apathetic towards party activities, a situation which he argues, does not augur well for building and strengthening the power structure and base. He therefore appealed to all members to be good ambassadors of the party through their conduct and their interaction with other Ghanaians who may not necessarily be sympathetic to the Busia-Dankwa-Dombo tradition.